Snowbird Alert... Why rent when you can own a piece of the sunshine state! 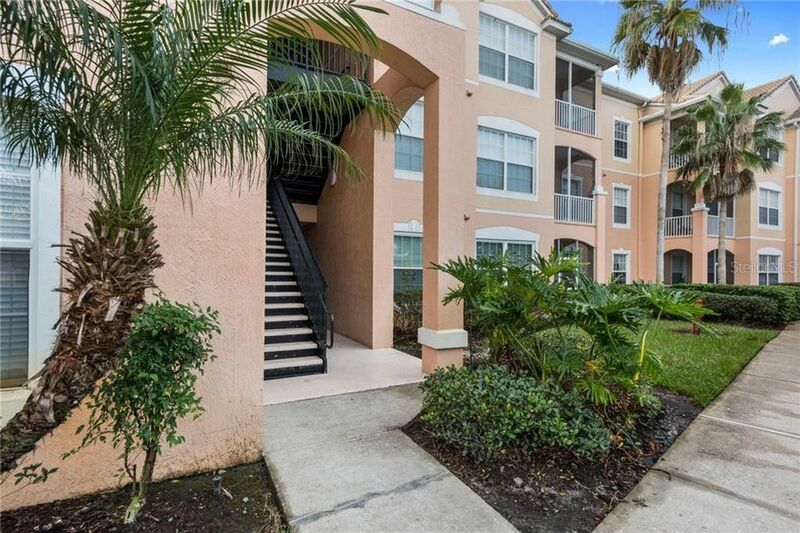 You will not want to miss this outstanding well maintained 3 bedrooms, 2 bath, 3rd floor condo located in the gated community of Golfview in Hunters Creek. This beautiful unit has barely been lived in and it shows! You will appreciate the Berber carpet and tiled floors throughout. The master bathroom has been completely updated with a upgraded walk in shower offering maintenance free care and a lifetime warranty. The kitchen features beautiful granite counters and stainless appliances. The pass through kitchen counter makes it easy to entertain. The seller invested $10, 000 on the Affinity A/C System. This system serves as a dehumidifier and helps purify the air affording many years of comfort. The seller has thought of everything! The property offers a split floor plan providing privacy. You will enjoy many mornings and evenings on your own private balcony. What a perfect way to enjoy Florida living! Stay fit with the community pool and fitness center. What a great way to wind down at the end of a long day of work or play! Walk to conveniences, restaurants and shopping. Area attractions are within minutes. Only minutes to OIA, 417, 528 and the turnpike. Take advantage of this Master Planned community and enjoy tennis, basketball, tot lots, parks, picnic areas and so much more. Directions: South on O.B.T., Right onto Town Center Blvd, Left onto Turtle Marshall Loop to home.